But are there any particular ways they need to run it to maximise that efficiency and ensure they keep their running costs low? The simple answer is “yes”, and they will be looking to you, their heating expert, for that advice. This isn’t rocket science, it doesn’t involve intricate daily rituals, and the advice is also relevant to radiator systems that have the right controls. It’s surprising how many people still think turning their stat up all the way somehow heats the room faster. You know it doesn’t. We know it doesn’t. They really know it doesn’t, yet we all do it from time to time, don’t we? Go on, be honest... So, rule one: be gentle. Of course, this applies most to simple rotary dial thermostats, which people like because they are so familiar. As a Continental customer you will already know that we are not precious about having to have the latest whiz bang, all singing, all dancing, digital system - our systems work perfectly with our HeatMax Dial thermostat, so if your customer wants the simple option they can have it. But ask them to be gentle with the dial. If your customer has specified programmable room thermostats - either our HeatMax range or the app controlled therM range - then a few simple tips from you will save them money. Explain the likely temperatures they will want to set for each room - 18°C for bedrooms, 21°C for living room, etc -­ and explain how to programme the thermostat so it is set for that temperature when they want to use that room. Also explain how the “off” time should be set only slightly lower - e.g. 14°C - rather than completely off, so the system “sets back”, as this is actually more efficient. We will talk more about why this happens in a future blog. Like a car, a heating system benefits from an annual service and checks. Chat to your customer about this. For a checklist on what to do with a UFH system, see our blog heating health checks, and book in the date you will come back next year to check their system. So that’s it really; simple tips, which also apply to any radiator system with the right controls. But of course with underfloor heating each room gets its own thermostat, and you can’t get better than that. Now that you know how to leave yourself with a happy customer, it’s time to order the underfloor heating for you to install! 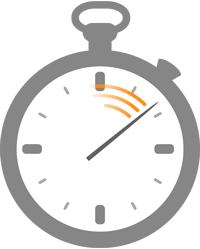 Here at Continental Underfloor Heating, we specialise in providing heating solutions for any floor type and we can get a quote to you in less than three hours - just ask for our FastTrack service! For more information, please contact us by calling 0333 800 1750. You can also keep up to date with our latest news, tips and updates by following us on Twitter, liking us on Facebook, or signing up for our e-news.